BPNL Recruitment 2018 - Bhartiy Pashupalan Nigam Limited Bharti 2018. 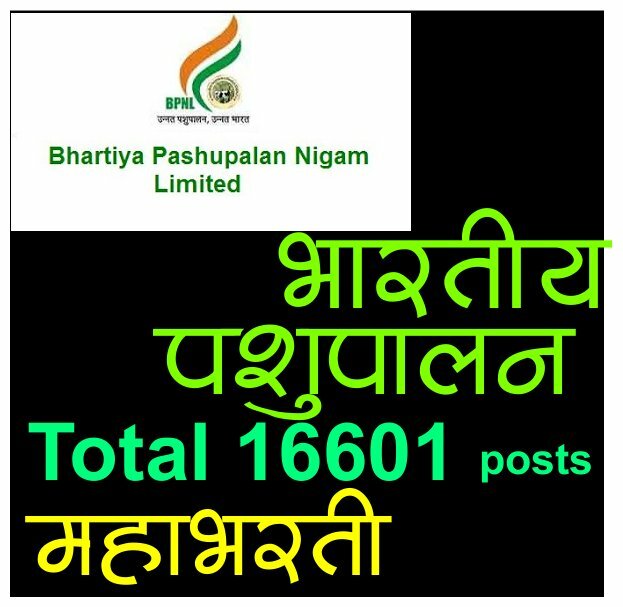 BPNL Recruitment 2018 – Bhartiy Pashupalan Nigam Limited Bharti 2018. Qualification : Graduate in Agriculture (or) Two years in Animal Husbandry Diploma/ equivalent from any recognized institute/ university. Qualification : Passed in 12th Standard from any recognized board/ institute. Qualification : Passed in 10th Standard from any recognized board/ institute. केंद्रीय औद्योगिक सुरक्षादल 447 कॉन्स्टेबल भरती निकाल.